Bank of America is acquiring MBNA. The acquisition combines the countrys largest domestic bank with one of the largest providers of credit card and payment products. MBNA had become a takeover target in recent months. Profits plunged as consumer dissatisfaction with its rising interest rates, fees and charges drove many cardholders to pay off their accounts and take their business elsewhere. With the acquisition, Bank of America, the nation's third-largest bank, becomes its largest credit-card issuer, with $143 billion in managed outstanding balances and 40 million active accounts. Bank of America said it will add more than 20 million new customer accounts as well as affinity relationships with more than 5,000 partner organizations and financial institutions. Bank of America said it expects to eliminate 6,000 jobs from the merged companies. In May MBNA reported financial results in which actual earnings fell to $31.7 million, or 2 cents a share, far short of its projection of $519.7 million, or 4 cents a share. Bank of America Chairman and Chief Executive Officer Kenneth D. Lewis said the acquisition will create "the countrys top retailer of financial services with the size and scale to drive distribution and marketing efficiencies." The deal confirms that the concept of "one-stop shopping" is still alive and well in the financial services industry. Earlier this month, Washington Mutual bought Providian, a large credit-card issuer with a checkered past. Bruce L. Hammonds, CEO and president of MBNA Corporation, will become CEO and president of Bank of America Card Services and report to Liam E. McGee, president, Bank of America Global Consumer and Small Business Banking. Hammonds will remain in Wilmington, Del., and be part of Bank of Americas Risk & Capital Committee, which guides the companys strategic direction. Hammonds and other MBNA executives narrowly escaped death when their helicopter crashed in New York City earlier this month. A class action lawsuit has been filed by California credit card holders and merchants against Cardsystems Solutions, Inc. and others alleging a failure to maintain adequate data security which led to a security breach exposing over 40 million credit card holders to potential fraud. The suit, filed in San Francisco Superior Court, alleges that Cardsystems Solutions was negligent for failing to adequately secure consumers' credit card data, and for breaking Visa and MasterCard "Data Security Standards" which prohibit storing certain kinds of confidential consumer information. The lawsuit alleges that Cardsystems Solutions, Merrick Bank, Visa and MasterCard have violated their duty to timely and properly inform consumers of the nature and degree of the alleged security breach. The suit claims that these violations constitute "unfair, unlawful and deceptive business practices" under California's Unfair Competition Law. The lawsuit seeks a declaration from the Court that Cardsystems violated the standard of care in its data security methods and that card holders are entitled to notice of the nature and extent their private credit card data was compromised and on-going credit monitoring to prevent fraud. "There are strong privacy laws and public policies in California protecting consumers' confidential financial information -- consumers, in our view, have the right to be immediately informed if the privacy and security of their credit card information have been violated so they can make an informed decision on whether to change account numbers or take some other prompt remedial action," said Ira Rothken, counsel for the consumer and merchant class plaintiffs. The U.S. Agriculture Department says it has tracked the latest confirmed case of "mad cow" disease to a 12-year-old animal born in Texas. The agency said the cow was slaughtered last November for use in pet food and did not enter the human food supply. It is the second confirmed case of the devastating disease in the U.S., the first involving a domestically-bred cow. The first case, discovered in Washington state in December 2003, involved a cow imported from Canada. "The source herd is now under a hold order as we identify animals of interest within that herd," said USDA chief veterinarian Dr. John Clifford. "Animals of interest would include any animals that were born the same year as this animal, as well as any born the year before or the year after," he said. In a statement on the USDA Website, Clifford said the safety of the human food supply was never in doubt. Given the age of the animal, Clifford said it is reasonable to believe it became infected before the 1997 ban against the use of cattle parts in animal feed. The disease is not spread through contact. Only by consuming infected issue from other cattle do animals contract the disease. Clifford said the safety of Texas beef is not in question, but he said the agency could remain "vigilant." USDA failed to diagnose the infection the first two times tissue from the infected animal was studied. It was only after the department's Inspector General intervened that the tissue was tested a third time and found positive for the disease. Mad cow disease -- or bovine spongiform encephalopathy (BSE) -- is an invariably-fatal degenerative brain disease spread through infected meat. Cattle can be infected by eating protein supplements made with the ground-up remains of other animals, a practice now outlawed in most countries. Increasing reports of lost consumer data files and disclosures of unauthorized access to sensitive personal data are taking a toll on consumers' confidence in online commerce, according to the technology research and advisory firm Gartner Inc.
A Gartner survey of 5,000 U.S. adults showed that phishing attacks grew at double-digit rates last year in the United States. In the twelve months ending in May 2005, an estimated 73 million U.S. adults who use the Internet said they definitely, or think, they received an average of more than 50 phishing e-mails in the past year. The number of consumers receiving phishing attack e-mails increased 28 percent in the 12 months ended in May 2005 compared with 12 months ended in April 2004, according to the Gartner data. In last year's survey, an estimated 57 million U.S. adults reported that they definitely, or think, they received a phishing attack email. In both surveys, 5,000 participants were selected to match demographic characteristics of the U.S. online population. 2.4 million online consumers report losing money directly because of the phishing attacks. Of these, approximately 1.2 million consumers lost $929 million during the year preceding the survey. Survey participants indicated most of the money stolen was repaid by banks and credit cards. Gartner analysts said most online consumers do not open e-mail from companies or individuals they do not know from prior experience. Three of every four online shoppers said they are more cautious about where they buy goods online, and one of three reports buying fewer items than they otherwise would because of security concerns. "Companies need to take steps quickly to beef up online security," said Avivah Litan, vice president and research director at Gartner. "We are seeing unprecedented levels in consumer transactions online. Yet businesses cannot rely on the Internet to lower costs and improve marketing efforts indefinitely if consumer trust continues to decline." More than 80 percent of U.S. online consumers said their concerns about online attacks have affected their trust in e-mail from companies or individuals they don't know personally. Of these consumers, more than 85 percent delete suspect e-mail without opening it. "This figure has serious implications for banks and other companies that want to use the e-mail channel to communicate more cost-effectively with their customer base," Litan said. "For example, a bill sent electronically costs about half of what a bill costs when sent through regular mail." Phishing attacks are not slowing down. More than 40 percent of the adults who received phishing attack e-mails received them in the two weeks preceding the survey; another 23 percent of respondents said they received these e-mails two weeks before that - so more than 63 percent of consumers who received one of these e-mails did so in the month prior to the survey. "In general, consumers expect companies they do business with to provide secure online communications and to protect consumer data from thieves at no additional cost to consumers," Litan said. "They want guarantees - authentication - from merchants and other businesses that their Web sites are genuine. Consumers want this reaffirmed every time they go online." Approximately 77 percent of online Americans shopped online in the 12 months ended in May 2005, according to Gartner. An estimated 73 percent of respondents regularly logged on to banking accounts and 63 percent paid bills online. "While online banking customers continue to access bank accounts over the Internet, they are changing their usage patterns," Litan said. "Nearly 30 percent of the online bankers say that online attacks have influenced their online banking activities. Over three-quarters of this group log in less frequently, and nearly 14 percent of them have stopped paying bills via online banking." In the survey, nearly twice as many consumers said they worry more about thieves getting undetected access to private credit reports and other sensitive financial data than defending against phishing attacks. The U.S. government recently mandated that consumers be given unlimited free access to their credit reports by September. The goal is to make it easier for consumers to monitor any unauthorized requests for credit. Yet few consumers believe the step will be "extremely effective" in shielding them from identity-theft schemes, according to the survey. In contrast, nearly one third are "extremely concerned" that they will suffer some type of identity theft fraud due to unauthorized access to their data. Phishing occurs when a cyber thief sends e-mail with a link to a false Web site. The false sites typically are disguised to look like sites of banks or well-known e-commerce merchants. Recipients of these e-mail attacks are asked to provide personal account information. Los Galleguito, a Union City, N.J., firm, is voluntarily recalling approximately 720 pounds of Spanish sausage that may be contaminated with Listeria monocytogenes, the U.S. Department of Agriculture's Food Safety and Inspection Service (FSIS) announced. Subject to recall are 8-ounce packages of "Los galleguitos PRIMERA CHORIZOS SPANISH BRAND SAUSAGE." Each package contains four sausages and bears the code "021606." The establishment code, "EST. 5447" is printed inside the USDA mark of inspection. The sausages were packaged on June 16, 2005 and were distributed through retail stores in Florida. The problem was discovered through routine FSIS microbial sampling. FSIS has received no reports of illnesses associated with consumption of these products. Consumption of food contaminated with Listeria monocytogenes can cause listeriosis, an uncommon but potentially fatal disease. Healthy people rarely contract listeriosis. However, listeriosis can cause high fever, severe headache, neck stiffness and nausea. Listeriosis can lead to miscarriages and stillbirths, as well as serious and sometimes fatal infections in infants, the elderly and persons with compromised immune systems. Media and consumers with questions about the recall should contact company owner Frank Torres at (201) 865-7232. Consumers with food safety questions can phone the toll-free USDA Meat and Poultry Hotline at 1-888-MPHotline (1-888-674-6854). The hotline is available in English and Spanish and can be reached from l0 a.m. to 4 p.m. (Eastern Time) Monday through Friday. Recorded food safety messages are available 24 hours a day. A class action lawsuit filed by several small businesses accuses Citigroup, Bank of America and other large banks of illegally fixing the price of credit card transaction fees. "Merchants have little or no ability to negotiate with Visa and MasterCard for lower interchange fees, and these fees are a hidden tax that raise prices paid by consumers for almost every product they buy," says attorney K. Craig Wildfang, representing the plaintiffs. "Visa, MasterCard and the banks now have the burden of proving that they have set the interchange fees at the correct competitive level. Even Visas own economists admit that they cannot satisfy this burden." "For the average consumer, you have to pay $200 to $300 per year in additional costs for merchandise, whether you pay with plastic or in cash," Wildfang said. "It's like an invisible 2 percent sales tax on everything you buy." "Interchange fees are just a way that credit card companies squeeze merchants to enhance their revenue stream," said Mitch Goldstone, President and CEO of 30 Minute Photos Etc. and 30minphotos.com, a national online boutique photo service. "There is absolutely no need for these fees to be so high, and without anything to control them, the banks and the credit card companies continue to find ways to escalate the fees. We hope this lawsuit leads to significant changes," he said. Goldstone and co-owner Carl Berman write The Credit Card Interchange Blog, at www.waytoohigh.com. "Due to Visa and MasterCards market power, the United States has the highest credit card interchange fees among industrialized countries," Wildfang said. "Regulatory authorities in many other countries, from the European Union to Australia, have recently adopted measures to reduce interchange fees, but in the United States, it will take action by the courts to accomplish this." The suit concerns the fees charged by banks to merchants each time a customer makes a purchase using a MasterCard or Visa card, and charges that there is no limit on the banks' ability to set the "exorbitant" fees. Paul Cohen, a vice president at Visa USA, said the company plans to defend the fees as a business practice that has been both successful in the marketplace and found to be legal in federal court. The antitrust class action suit was filed in the U.S. District Court for the District of Connecticut against Visa, MasterCard, Bank of America, Citibank, Bank One, Chase Manhattan Bank, JPMorgan Chase, Fleet Bank, Capital One and other major banks. Named plaintiffs include, Photos Etc. Corporation, doing business as 30 Minute Photos Etc., of Irvine, CA; Traditions Classic Home Furnishings of St. Paul, MN; CHS Inc. of St. Paul, MN; A Dash Of Salt, L.L.C. of Bridgeport, CT; and KSARRA, L.L.C. of Newtown, CT. They represent a class of merchants that operate millions of commercial businesses throughout the United States that accept Visa and MasterCard as a form of payment. At issue are the alleged practices by the defendants that cause merchants to pay allegedly excessive fees each time they accept a credit card as payment. "The U.S. credit card system is seriously broken and mismanaged, and millions of merchants and consumers are unnecessarily paying for it through credit card interchange fees that are increasing at an alarming rate," said Michael Schumann, co-owner of Traditions Classic Home Furnishings, which operates retail furniture stores in St. Paul and Minneapolis, MN and Naples, FL. "This lawsuit will hopefully result in a much-needed major reform of the credit card industry." In 2003, Wal-Mart negotiated a multibillion-dollar settlement with Visa and MasterCard over the use of the fees. Other large retailers are attempting to do the same but Wildfang's lawsuit says small businesses are helpless to negotiate on their own and must turn to the courts for relief. New federal rules that become effective July 1 require banks to more clearly disclose the charges they impose for "bounced-check protection" and "courtesy overdraft protection" services. However, the new rules apply only to national banks, which tend to be smaller local and regional banks. A recent study by the Consumer Federation of America (CFA) found that 80 percent of the nation's large banks also charge consumers high overdraft fees without their knowledge or consent. While the new federal rule singles out smaller banks that promote "courtesy" overdraft loans, the nation's largest banks have also included identical provisions in their checking accounts but do not advertise them, the CFA said. Meanwhile, the acting Comptroller of the Currency, Julie L. Williams, testified before a Congressional committee that efforts to streamline massive consumer disclosure requirements present an opportunity both to reduce the "regulatory burden" on banks and improve the quality of information provided to consumers. Today our system imposes massive disclosure requirements -- and massive costs -- on financial institutions, Ms. Williams said. But do these requirements effectively inform consumers? Williams, who is responsible for supervising national banks, said her agency has "broken new ground" by employing consumer testing as part of its effort to simplify privacy notices. Previous rules "advertisement" in a manner that generally excluded communications with existing customers about existing accounts. The new rule expands this definition, in certain cases, to include communications with existing customers. Under the new rule, "advertisements" include communications that are misleading or inaccurate, or misrepresent the deposit contract. Second, "advertisements" include any communications about overdraft services. • the circumstances under which the bank will not pay an overdraft. However, banks do not need to provide these additional disclosures, in certain educational materials; on an ATM receipt; on television, radio, or billboard advertisements; or in response to a consumer-initiated inquiry. Banking regulations generally require that if an institution mails or delivers a periodic statement, the institution must disclose fees imposed in connection with the account during the statement period. • For returning items unpaid. These disclosures must be provided both for the statement period and for the calendar year to date. Banks that do not promote the payment of overdraft services would not be required to provide the new periodic statement disclosures. Banking regulations generally require that banks disclose the amount of any fee that may be imposed in connection with the account and the conditions under which a fee may be imposed. The new rule states that banks must specify the categories of transactions for which an overdraft fee may be imposed. An exhaustive list of such transactions is not required. It is sufficient for an institution to disclose that a fee may be imposed for covering overdrafts "created by check, in-person withdrawal, ATM withdrawal, or other electronic means," as applicable. Simply disclosing a fee "for overdraft items would not be sufficient." This account-opening disclosure requirement applies to all banks, including those that do not promote overdraft services in an advertisement. The new rules apply to national banks supervised by the Office of the Comptroller of the Currency. U.S. Auto Management Corporation of Phoenix and a spin-off company, Auto Payment Solutions, are being sued by the state of Arizona on charges the companies engaged in a vehicle sublease rescue scheme that often harmed car owners and lessees financially and damaged their credit. The complaint, filed June 16 in Maricopa County Superior Court by Attorney General Terry Goddard, alleges that between 2000 and 2004, U.S. Auto Management (USAM) and Auto Payment Solutions offered owners and lessees of vehicles subject to retail installment loans or lease contracts the opportunity to be relieved of their existing loan or lease obligations. USAM and Auto Payment Solutions located a sub-lessee to assume the owner's remaining monthly payments until the vehicle was paid off or the lease term concluded and take possession of the vehicle. "Victims who could not afford to make their car payments sought help, but these companies often only made things worse. Instead of helping consumers as they promised, these companies often took advantage of them with deceptive claims," Goddard said. "Consumers need to be wary of these types of quick-fix offers." • Created a worry free-arrangement to protect the owner's investment and credit. The companies varied their promises, but used the same basic business model to entice customers into turning over their vehicles. USAM offices in Cave Creek and Scottsdale also purchased print advertisements and ran commercials on the radio. • USAM and Auto Payment Solutions told customers that a person "using" the owner's vehicle would maintain and repair any damage to vehicles in their possession, when in fact the companies often lost contact with the vehicle user and could not monitor maintenance or repair records. • Require the Defendants to reimburse the Attorney General for costs of the investigation and reasonable attorney's fees. Toyota Motor Corp. is recalling several models of the Scion tC because of consumer complaints that the glass wind deflector, located near the moonroof, might shatter when struck by road debris. The Toyota recall involves about 71,000 Scion tC coupes in the U.S. from the 2005-06 model years. The Scion wind deflector tilts up when the moonroof is opened and could shatter and separate from the frame at highway speeds. Pieces of the wind deflector could fall inside the vehicle, causing injuries or distractions. The recall will begin later this month. Toyota says its customers can reduce the likelihood of the deflector shattering by not opening the moonroof until the vehicle is repaired. Dealers will repair the vehicles at no charge to the owners. Ford Motor Co. has agreed to settle customer lawsuits over alleged defects in the intake manifoldsof as many as two million vehicles. The settlement was filed in federal court in Oakland, Calif. Ford will pay owners of some Mercury Grand Marquis, Lincoln Town Cars and Ford Crown Victorias at least $735 to reimburse them for repairs made because of faulty manifolds, which route air to an engine's cylinders. Car owners claimed in a class action that Ford installed plastic intake manifolds that were prone to cracking and causing coolant leaks on some 1996 to 2001 models. The settlement could cost Ford as much as $375 million if every customer files a claim. Ford doesn't admit liability by settling the lawsuit. Under the agreement, Ford will reimburse consumers with receipts for repairs related to the intake manifold. The Dearborn-based company will also pay $735 to anyone without receipts who verifies with a company dealership that the repair was made, the agreement said. Ford will also extend the life of warranties of customers who haven't had manifold failures, according to the agreement. This could cost Ford additional money to replace manifolds in the future. Ford will also pay for notifying car owners about the settlement. The settlement is subject to court approval. The settlement covers 1996 through 2001 models of the Mercury Grand Marquis, Lincoln Town Car and Ford Crown Victoria, as well as certain Mercury Cougars, Ford Thunderbirds and Mustangs built before 2002. Fireworks can be beautiful against the night sky on July 4th, but a Washington University emergency medicine specialist at St. Louis Children's Hospital says, for safety's sake, parents and children should leave the fireworks to professionals. All fireworks are dangerous, especially to children. In 2003, the last year for which numbers are available, 9,300 people were treated in U.S. emergency departments for fireworks-related injuries. Five percent required hospitalization. Four of those people died. Typically, about two-thirds of all fireworks injuries occur in the days around the July 4th holiday. "Firecrackers, rockets and sparklers account for most of the injuries we see during that period," says Bo Kennedy, M.D., associate professor of pediatrics and associate director of the Emergency Department at St. Louis Children's Hospital. "Sparklers actually cause the highest number of injuries in children under 5. Sparklers burn at more than 1,000 degrees, and when a sparkler is burning, what it's releasing is essentially molten metal. That can cause some very serious burns." According to figures from the Centers for Disease Control and Prevention, 63 percent of fireworks injuries involve burns. About 45 percent of fireworks injuries occur in children 14 or younger, and boys make up 72 percent of the kids who require some form of treatment at the hospital. About a quarter of all injuries involve the hands and fingers. Some 21 percent are eye injuries. The head and face are involved 18 percent of the time, and most of the injuries occur at homes. "Backyard fireworks displays are a bad idea on a couple of levels," Kennedy says. "There's not only the potential for injury, but the fireworks also can go astray and start fires." In 1999, there were 24,200 reported fires started by fireworks, causing $17.2 million in property damage. Most fires were outdoor brush or refuse fires, but most of the losses occurred in fires that involved buildings like houses, garages and barns. Those fires tend to start when something such as a bottle rocket lands on a roof, or another hard-to-reach location, where it can ignite combustibles before anyone can retrieve it. Kennedy notes that bystanders at backyard displays can be injured, too. But fires and fireworks injuries aren't the only problems associated with July 4th. "We tend to see a lot of children that come in with burns who get them from the grills where people have been barbecuing," he says. "Bruises and scrapes also are common on Independence Day, and occasionally serious injuries result from excited children who run out in front of cars and get hit." If a child or an adult is burned, Kennedy reminds us that proper first aid for a burn is to keep it covered. He says butter or other greasy ointments should be avoided, as should prolonged or excessive application of ice, which can cause further injury by freezing the tissue. For serious burns, he says it's important to get to a hospital as soon as possible. Although he recommends that families avoid backyard fireworks, Kennedy realizes that some people will ignore warnings. In those cases, he advises that only adults be allowed to set off fireworks. Even then, he says many of the injuries seen in emergency departments involve children standing by watching others ignite the fireworks. "Children simply should not be allowed to ignite or be close to the fireworks," he says. "It's just too dangerous. The injuries can be permanent and severe." Attorney General Charlie Crist's office has won a lawsuit against a Washington State-based company that sold fraudulent bonds purporting to eliminate the need for standard insurance coverage, a false claim that cost 425 Florida victims $300 per person, for a total loss of $127,500. Leon County Circuit Judge Jonathan Sjostrom entered a final judgment against Global Healings Society and owner Joseph Michael Gardinier, requiring the defendants to pay restitution as well as fines of $1,000 per victim, a total of more than $550,000. "This judgment marks a victory for Florida consumers and sends a clear message that fraud of this type has no place in our state," said Crist. "Floridians depend on insurance offered by reputable agents to protect them from significant financial liability, and those offering phony alternatives face serious legal consequences." An investigation conducted by the Attorney General's Economic Crimes Division revealed that Global Healings Society was selling what it claimed were "financial bonds" over the Internet. Gardinier, owner and caretaker of the organization, directed its activities and was responsible for the various bond programs sponsored by Global Healings. The bonds purported to protect the bearers from financial responsibility in the event of any incident that would warrant an insurance claim. Not only were the bonds fraudulent, but there was no money available for the injured party in the event that a claim was filed against a bearer of the bonds. Types of bonds offered by Global Healings included an auto bond, a health bond, a home equity bond, a student bond, a "Benefit for Life" bond and a community financial bond. The organization was not licensed to do business in Florida, nor was it an authorized insurer in the state. The Florida Department of Highway Safety and Motor Vehicles determined that the organization's auto bond card was not valid to prove insurance coverage as required by law. In response, Gardinier conducted a series of conference calls to members of the organization soliciting donations to cover the cost of suing the State of Florida. Similar solicitations were made in Montana and Washington, where Global Healings has already been prohibited from conducting business. More than 40 million credit cards are potentially at risk in the largest security breach to come to light so far. MasterCard International Inc. has started notifying member banks of about 13.9 million accounts involved in the latest incident, which involved a card-processing operation in Tucson, Arizona. In a statement, MasterCard said the breach was traced to CardSystems Solutions Inc., a third-party processor of payment card data. It said the compromised data included names, banks and account numbers -- not addresses or Social Security numbers -- and said such data could be used to steal funds but not identities. Consumers should watch their statements carefully and promptly reported any unauthorized charges to their card issuer. Under federal law, credit card holders are liable for no more than $50 of unauthorized charges, and many card issuers will waive the $50 in circumstances such as these. "Consumers have strong protection if unauthorized charges are made on their MasterCard cards," MasterCard said. "In the U.S., MasterCard cardholders are protected by MasterCard's Zero Liability policy for unauthorized transactions on their accounts. If MasterCard cardholders have any reason to believe that their cards were used fraudulently, they should contact their issuing bank." MasterCard said it has begun notifying its member banks of specific card accounts that may be vulnerable, so that those banks can take steps to prevent against fraud. Visa USA did not immediately comment on the situation. American Express said that less than 0.5% of its domestic transactions are handled by CardSystems. Discover said it was "aware of" the situation but did not say whether any of its cardholders were affected. MasterCard blames a single individual for the massive security breach. "(V)ulnerabilities allowed an unauthorized individual to infiltrate their network and access the cardholder data," MasterCard said. The company said the perpetrator used "a virus-like computer script that captured customer data" but would not elaborate further. The FBI said it was investigating. CardSystems officials said they first noticed a potential security breach on May 22 and contacted the FBI a day later. Visa, MasterCard, and other companies were notified as CardSystems brought in third-party security experts to review their systems. "We understand and fully appreciate the seriousness of the situation," CardSystems said in a statement. "Our customers and their customers are our lifeblood. We are sparing no effort to get to the bottom of this." It's the latest in an embarrassing series of security breaches involving both consumer identity data. It appears to be the largest yet involving financial data, said David Sobel, general counsel at the Electronic Privacy Information Center. "The steady stream of these disclosures shows the pressing need for regulation of the industry both in terms of limitation in the amount of personal information that companies collect and also liability when these kinds of disclosures occur," Sobel told the Wall Street Journal. MasterCard urged Congress to enact wider application of Gramm-Leach-Bliley, the act that includes provisions to protect consumers' personal financial information held by financial institutions. "Currently, GLBA only applies to financial institutions providing services to consumers, including MasterCard. MasterCard urges Congress to extend that application to also include any entity, such as third party processors, that stores consumer financial information, regardless of whether or not they interact directly with consumers," MasterCard said. Sen. Charles Schumer (D-NY) said the incident is a reminder that Congress needs to move quickly to help consumers, who can face years of credit problems once their digital identities are stolen. "Consumers personal and financial data has become the gold of the 21st century and we need to protect it accordingly," said Schumer, who has co-authored a bill that would require companies to take additional steps to curb data theft. The bill would also create standards for companies handling sensitive personal data. NY AG calls government's actions "unconscionable"
Attorneys in Houston have filed suit on behalf of an Iowa woman who died in a fire at her home last month. The lawsuit says the fire started in the family's Ford F-150 pickup truck. Darletta Mohlis of Westgate, Iowa, died on May 2. Her husband of 34 years, Earl Mohlis, was injured in the fire, but survived. An investigation showed the fire started in the F-150, then spread through the garage and the rest of the home. Further study has narrowed the list of potential causes to a cruise control deactivation switch. Such switches already are the subject of a Ford recall, and an investigation by the National Highway Traffic Safety Administration, NHTSA. In January, Ford recalled 740,000 Ford Expeditions, Lincoln Navigators and F-150 pickups that contained the switch. NHTSA is investigating reports of approximately 200 fires that have occurred in those vehicles. Although Ford recalled only vehicles it manufactured in 2000, the automaker used the same switch on those it made from 1995-2002. The lawsuit alleges Ford deliberately limited the recall to save money. The Mohlis' F-150 was a 1996 model. "If the company knows about the problem with the 2000 models, then it must also know the same trouble exists with the 1996 truck and the others," says Rob Ammons of the Ammons Law Firm in Houston, who represents the Mohlis family. "They made a decision based on cost. And in May, Darletta Mohlis paid the price." The National Highway Traffic Safety Administration is investigating more than 3.7 million Ford pickups and sport utility vehicles because of a defect in the cruise control switch. The probe includes Ford F-150 pickups from the 1995-1999 and 2001-2002 model years, and Ford Expeditions and Lincoln Navigators from the 1997-1999 and 2001-2002 model years. NHTSA said in March it had received 218 complaints of engine fires from the cruise control switch. Ford spokeswoman Kathleen Vokes said in a statement on Thursday that an inspection at the Mohlis' house "demonstrates conclusively that the fire did not originate from the 1996 Ford F-150, and specifically not from its speed control deactivation switch." She said evidence suggests that the fire started elsewhere in the garage, spreading to the truck and the home. "Ford continues to work and cooperate with NHTSA on its investigation of this tragic incident," Vokes said. The lawsuit was filed in the 157th Judicial District Court in Harris County, Texas. It also names as defendants Texas Instruments, the maker of the switches, and DuPont manufactured Kapton and Teflon coatings used in the switch. Passengers boarding aircraft at a most U.S. airports will soon get another layer of security scrutiny. The Transportation Security Administration will soon be installing exposive detection devices at major airports. The TSA says it has completed the pilot phase of the passenger screening program, conducted at 14 airports. Starting in July, TSA will begin the first round of deployment by adding 44 additional machines and 10 additional airports to the program. "The explosives detection trace portal technology is a proven and valuable asset in our layered approach to aviation security, improving our ability to identify explosives," said Kenneth Kasprisin, acting assistant secretary for Homeland Security for TSA. "TSA continues to seek out new technology that both enhances security and improves customer service. This technology meets those goals." Airports in the following cities were included in the pilot program and are already using the new technology: Baltimore; Boston; Gulfport, Miss. ; Jacksonville, Fla.; Las Vegas; Los Angeles; Miami; New York (JFK); Phoenix; Providence, R.I.; Rochester, N.Y.; San Francisco; San Diego; and Tampa, Fla.
By the end of September, TSA said it would complete the first wave of deployment of this new technology to airports in the following cities: Charlotte, N.C.; Dallas (DFW); Fort Lauderdale, Fla.; Newark, N.J.; New York (LaGuardia); Palm Beach, Fla.; Pittsburgh; San Juan, P.R. ; and Washington, D.C. (both Dulles and Reagan National). TSA said it would continue to conduct site surveys and would announce the next round of airports to receive the new technology by the end of the summer. TSA said it anticipates deploying 100 additional machines targeting the nation's largest airports by January 2006. At airports with the new technology, some passengers will be directed by TSA screeners to step into a portal at the checkpoint. Passengers will stand still for a few seconds while several "puffs" of air are released. The portal then collects and analyzes the air for traces of explosives and a computerized voice indicates when a passenger may exit. BJs Wholesale Club, Inc. has agreed to settle Federal Trade Commission charges that its failure to take appropriate security measures to protect the sensitive information of thousands of its customers was an unfair practice that violated federal law. According to the FTC, this information was used by an unauthorized person or persons to make millions of dollars of fraudulent purchases. The settlement will require BJs to implement a comprehensive information security program and obtain audits by an independent third party security professional every other year for 20 years. Natick, Massachusetts-based BJs operates 150 warehouse stores and 78 gas stations in 16 states in the Eastern United States. Approximately 8 million consumers are currently members, with net sales totaling about $6.6 billion in 2003. "Consumers must have the confidence that companies that possess their confidential information will handle it with due care and appropriately provide for its security, said Deborah Platt Majoras, Chairman of the FTC. This case demonstrates our intention to challenge companies that fail to protect adequately consumers sensitive information. According to the FTCs complaint, BJs uses a computer network to obtain bank authorization for credit and debit card purchases and to track inventory. For credit and debit card purchases at its stores, BJs collects information, such as name, card number, and expiration date, from the magnetic stripe on the back of the cards. The information is sent from the computer network in the store to BJs central datacenter computer network and from there through outside computer networks to the bank that issued the card.  Failed to use measures sufficient to detect unauthorized access to the networks or to conduct security investigations. The FTCs complaint charges that the fraudulent purchases were made using counterfeit copies of credit and debit cards used at BJs stores, and that the counterfeit cards contained the same personal information BJs had collected from the magnetic stripes of the cards. After the fraud was discovered, banks cancelled and re-issued thousands of credit and debit cards, and consumers experienced inconvenience, worry, and time loss dealing with the affected cards. Since then, banks and credit unions have filed lawsuits against BJs and pursued bank procedures seeking the return of millions of dollars in fraudulent purchases and operating expenses. According to BJ's SEC filings, as of May 2005, the amount of outstanding claims was approximately $13 million. The FTC alleges that BJs failure to secure customers sensitive information was an unfair practice because it caused substantial injury that was not reasonably avoidable by consumers and not outweighed by offsetting benefits to consumers or competition. The settlement requires BJs to establish and maintain a comprehensive information security program that includes administrative, technical, and physical safeguards. The settlement also requires BJs to obtain an audit from a qualified, independent, third-party professional that its security program meets the standards of the order, and to comply with standard book keeping and record keeping provisions. Volkswagen will pay $1.1 million, the largest civil penalty ever assessed, to resolve its failure to promptly notify and correct a defective oxygen sensor affecting at least 326,000 of its 1999, 2000 and 2001 Golfs, Jettas, and New Beetles. Federal officials said the action comes under an agreement filed with the U.S. District Court for the District of Columbia. As part of the settlement, Volkswagen completed a voluntary recall of the affected vehicles at a cost of over $26 million. Vehicles with the defect may release thousands of tons of harmful pollutants including non-methane hydrocarbons (NMHC) and carbon monoxide (CO). NMHC are key reactants in the production of ozone, a major contributor to cancer-causing smog. CO impairs breathing and is especially harmful to children, people with asthma, and the elderly. "Reliable and effective automobile pollution control systems are an important part of this nation's air pollution reduction strategy," said Thomas V. Skinner, acting assistant administrator of EPA's Office of Enforcement and Compliance Assurance. "This case demonstrates EPA's commitment to ensuring that automobile manufacturers comply with emissions regulations." The defect occurs gradually on engine start-up in cool and damp environments when the oxygen sensor (part of the emissions control system) cracks from "thermal shock." The dashboard indicator light illuminates, telling the owner to "Check Engine." Volkswagen received numerous warranty claims associated with cracked oxygen sensors during the winter of 1999-2000, but did not report the defect to the EPA until June 2001. EPA had already discovered excess emissions from a randomly selected vehicle during a routine test. In addition to paying the civil penalty, pursuant to the consent decree lodged today, Volkswagen will also improve its emissions defect investigation and reporting system to ensure future compliance. The proposed consent decree is subject to a 30-day public comment period and final court approval. California's fragile gasoline market will be strengthened by the addition of almost one million barrels of crude oil storage capacity, California Attorney General Bill Lockyer announced. It's part of an enforcement settlement that resolves antitrust objections to Valero's $2.8 billion acquisition of Kaneb. "Lack of storage has been a significant contributing factor to the dysfunction that afflicts California's gasoline market and the exorbitant prices suffered by this state's drivers," said Lockyer. "By increasing storage capacity, this settlement will help stabilize the market in Northern California and benefit motorists by providing a buffer against supply shortages and price hikes." Under the agreement, Valero must construct at its Benicia refinery crude oil storage tanks with a total capacity of 900,000 barrels. To further address concerns the merger would have anti-competitive effects and harm consumers, the settlement also requires Valero to sell gasoline and petroleum terminal facilities in Martinez and Richmond currently owned by Kaneb. Additionally, the settlement requires Valero to agree to terminate its lease of crude oil storage tanks at the Martinez terminal, and remove the oil held in those tanks. The tanks have a combined capacity of 1 million barrels. Valero will transfer the oil now stored at Martinez to the new Benicia tanks. Valero must complete construction of the Benicia tanks no later than three years following its sale of the Martinez terminal and the new owner's decision to terminate the current tank lease, or May 31, 2011, whichever comes first. The effect of the settlement's storage provisions will be to add 900,000 barrels of capacity to the system and free up for use by third parties 1 million barrels of capacity now controlled by Valero. The settlement's terms are contained in a consent decree Lockyer will file today in U.S. District Court for the Northern District of California. The settlement resolves a lawsuit, also to be filed today by Lockyer, that alleges the merger would lessen competition and restrain trade in violation of federal antitrust laws known as the Clayton Act and Sherman Act. The Federal Trade Commission (FTC), to remove its objection to the acquisition, today announced its approval of a settlement similar to California's, but which requires only the sale of the Martinez and Richmond terminals. The court must approve the California agreement. Lockyer said the increased storage capacity provided by the settlement should facilitate more gasoline production, increase supply and, as a result, help control prices. As the consent decree states, "The purpose of the provisions ... is to maximize motor fuel production and to create incentives for further investment in Northern California's infrastructure for crude oil and petroleum products ..."
The sale formally called divestiture of the Martinez and Richmond terminals must be completed within six months following the merger's effective date. If Valero fails to meet that deadline, the settlement allows Lockyer to appoint a trustee to complete the divestiture. Terminals receive and store gasoline and other light petroleum products, and provide facilities to redistribute the products via pipelines, sea vessels or trucks. They also receive, store and redeliver bulk quantities of crude oil. Additionally, they provide facilities for handling and injecting gasoline additives including ethanol. Valero and Kaneb directly compete in the Northern California terminal services market. Kaneb owns the Martinez and Richmond terminals, as well as two more in Selby and Stockton. Valero, meanwhile, operates its own terminal at its Benicia refinery. Importantly, Kaneb's terminals are the only non-refiner-owned terminals accessible to both marine imports and the Kinder Morgan (KM) pipeline system. The KM pipeline is the only common carrier system that serves the interior of Northern California, making it the sole means of economically shipping gasoline to Northern California terminals outside the Bay Area. Over eighty percent of the nation's largest banks charge consumers high overdraft fees without their permission, according to a new study by the Consumer Federation of America. Consumers are only informed of these charges in the fine print of their account agreements, which can cause them to inadvertently overdraw their accounts when making an ATM or debit card transaction. "Large banks are increasingly allowing consumers to unwittingly overdraw their accounts and then hit them with hidden fees," said Jean Ann Fox, director of consumer protection for Consumer Federation of America (CFA). "A loophole in Federal rules actually permits this deceptive and abusive practice." While recent regulatory action by the Federal Reserve singles out smaller depository institutions that promote "courtesy" overdraft loans, the nation's largest banks have also included identical provisions in their checking accounts but do not advertise them. "The Federal Reserve missed an opportunity to require banks to give customers information about the true cost of overdraft loans. As a result, banks can continue to hide the cost of these products," said Eric Halperin, policy counsel at the Center for Responsible Lending. "Federal regulators must do more to protect consumers from these abusive loans." CFA's study, "Overdrawn: Consumers Face Hidden Overdraft Charges From Nation's Largest Banks," documents that the nation's biggest banks charge fees for discretionary overdrafts without consumer consent and that the overdraft fees charged by these banks exceed industry averages. CFA surveyed large banks controlling over half of all assets held in consumer deposit accounts. The fees at the banks CFA surveyed average $28.57, five percent higher than average overdraft fees at two hundred bank accounts surveyed by BankRate.com in May 2005. Banks that offer this discretionary "courtesy" overdraft coverage in their account agreement disclosures also state they are not bound to pay transactions that overdraw depositors' accounts. If consumers who receive "courtesy" overdraft loans do not repay the overdraft quickly enough, many banks tack on an additional sustained overdraft surcharge. Penalty fees for insufficient funds checks and overdrafts are a huge and growing burden for accountholders. Consumers pay at least $10 billion per year and as much as $22.7 billion just for overdraft loans, according to estimates by the Center for Responsible Lending. These estimates are based on reports by industry analysts and publicly disclosed checking account service fee revenue. "These days, consumers are having a much harder time managing their bank accounts to avoid unwanted overdraft fees," said Fox. Increasing overdraft fees are the result of changes in the marketplace and in federal law and the broader use of overdraft fees for transactions other than those involving paper checks, including ATM withdrawals and debt card purchases. Money moves out of consumers' bank accounts faster than ever due to electronic processing allowed under the Federal "Check 21" act, while deposits can be held up for days before consumers are allowed access to their funds. Big banks permit consumers to overdraw their accounts without warning them on more types of transactions. Many larger banks are also increasing the chances that consumers will overdraw their accounts by processing the largest checks ahead of smaller checks, whether or not they bank received the larger checks first. This can cause a larger number of smaller transactions to bounce for consumers with low account balances and increase fee revenue for banks. The new generation of overdraft loans are more expensive than traditional overdraft protection, which requires that consumers agree ahead of time to pay for an overdraft from a linked savings accounts, credit card or revolving line of credit. CFA's study found that most of the largest banks offered these contractual overdraft protection policies and these options would be cheaper for consumers than "courtesy" overdraft. "Big banks should encourage consumers to use lower cost services that are already available. Responsible overdraft protection involves a guarantee that overdrafts will be paid, reasonable fees that are clearly disclosed and affordable repayment terms," Fox stated. For the second time in as many years, T-Mobile ranked highest among the six largest wireless service providers in creating a positive experience among customers who contact their providers for service or assistance. The J.D. Power and Associates 2005 Wireless Customer Care Performance Study says that with an index score of 108, T-Mobile performs particularly well across all factors, especially hold-time duration and problem resolution efficiency. In addition, T-Mobile customers' average hold times before waiting to speak with a service representative are 34 percent shorter than the industry average (2.27 minutes versus 3.44 minutes). Verizon Wireless, Nextel and ALLTEL also perform at or above the industry average. The study also found that customer service issues that are handled by a service representative, either over the phone or at a retail store, generate significantly higher customer care ratings than non-human, computer-generated interaction. Overall, customers who speak with a service representative over the phone average an index score of 109, well above the industry average score of 100. At the retail store level, the index score decreases to 102. However, those customers contacting their carrier with a problem or inquiring through an automated response system (ARS) rate their experiences significantly lower, with an index score of 85. The index score drops even further (75) for those contacts made over the Internet. The study shows that one of the main factors contributing to this performance disparity is the quality of response given. A service representative-either over the phone or in person-can answer customer questions and clarify answers given. This kind of flexibility is very limited in both ARS and Internet contact methods. "As more companies encourage customers to contact Internet and computer-based customer service programs to save operating costs, they run the risk of increasing churn [when a customer switches carriers] as the number of contacts needed to resolve a customer complaint or issue rises," said Kirk Parsons, senior director of wireless services at J.D. Power and Associates. "Since future churn levels are four times as high among those who rate their wireless carrier below average in customer care, the challenge for wireless providers is to offer an easy and efficient customer care transaction experience." The study, in its third year, provides a detailed report card of wireless customer care provider performance based on customer experiences in three point-of-contact methods: telephone with a service representative and/or ARS; walk-in at a retail store; and online Internet connection. Within each contact method, processing issues such as problem resolution efficiency and hold-time duration are also measured.  More than one-half (54%) of wireless users have contacted the customer service department for assistance within the past year, a slight increase from 2004 (52%).  Among those who contact their carriers, 71 percent do so via telephone and 26 percent through the carriers' retail stores. E-mail/Internet contacts account for only 3 percent.  The average initial reported hold time on calls to the customer service department is 3.44 minutes, compared to just over 9 minutes before speaking to a representative at a retail store. The 2005 Wireless Customer Care Performance Study is based on responses from more than 8,600 wireless users who contacted customer care within the past year. Mayo Clinic Developing a "Treadmill Workstation"
Evidence continues to mount that drugs designed to reduce inflammation and pain may in fact contribute to heart ailments. A study published in the latest issue of The British Medical Journallinks common, over-the-counter pain relievers such as ibuprofen with an increased risk of heart attack. "These results suggest an increased risk of myocardial infarction associated with current use of rofecoxib (Vioxx), diclofenac (Cataflam, Voltaren) and ibuprofen despite adjustment for many potential confounders," said researchers at the University of Nottingham. In fact, the study said the risk of heart attack rose 24 percent among people taking ibuprofen. It was 55 percent higher for those taking diclofenac. It's just the latest research to suggest a link between drugs designed to relieve pain and the risk of suffering a stroke or heart attack. It all started last September, when Merck withdrew its prescription pain reliever Vioxx from the market after its use in clinical trials raised concerns about heart disease. Other so-called COX-2 inhibitor drugs, including Celebrex and Bextra, are also suspected of increasing heart risks. Since that finding, older non-steroidal pain relievers (NSAIDs) - most sold without a prescription - have gotten another look. "Our study offers no reassurance that the increased risk of myocardial infarction is specific to rofecoxib alone or specific to COX-2 inhibitors," the researchers wrote. "We think that enough concerns exist to warrant a reconsideration of the cardiovascular safety of all NSAIDs." The study concludes that people 65 and older taking diclofenac are at an increased risk of suffering a first time heart attack at about the same rate as those taking Vioxx. But the researchers stopped short of advocating people currently taking the drugs stop them immediately. "However, enough concerns may exist to warrant a reconsideration of the cardiovascular safety of all NSAIDs," the study concluded. Government researchers at the National Highway Traffic Safety Administration have concluded that using a cell phone while driving is a major cause of traffic accidents, and that hands-free devices have little safety benefit. Regulators from NHTSA and researchers from the Virginia Tech Transportation Institute watched 100 drivers for a year. They report that cell phone use precipitated many crashes and near misses. The research group used cameras and sensors to track activities inside a vehicle, recording crashes, near crashes and evasive maneuvers. The study showed such events and maneuvers were often preceded by the driver being distracted by the use of a cell phone or other electronic device. There were nearly 700 incidents involving such wireless devices, the study found. The study was published as Connecticut enacted a new law banning handheld cell-phone use by drivers. New York, New Jersey, the District of Columbia, and Chicago have approved similar measures. The new federal research also adds to what experts say is a growing body of evidence that suggests hands-free cell phones will not deliver the safety benefits consumers, automakers and legislators hoped for. Men who carry their cell phone in a hip pocket or in a belt holster could be putting their sperm quality at risk, a British study finds. "Storage of mobile phones close to the testes had a significant negative impact on sperm concentration and the percentage of motile sperm," according to a report published by the U.K's Royal Society. "These trends suggest that recent concerns over long-term exposure to the electromagnetic irradiation emitted by mobile phones should be taken more seriously." The study was conducted under the auspices of the University of Western Australia and based on samples collected from 52 heterosexual men. The samples were assessed using World Health Organization guidelines. The study found that those men who carried a cell phone in their hip pocket or on their belt had lower sperm motility and a lower sperm concentration than men who carry a mobile phone elsewhere on the body. New Opportunity Or New Set of Problems? WV Sues "Labor Law Poster Service"
West Virginia Attorney General Darrell McGraw has sued Mandatory Poster Agency, Inc., a Michigan corporation. The poster company called itself "The West Virginia Labor Law Poster Service" and sent a written solicitation to employers in West Virginia offering posters regarding workplace safety and employee rights. While state and federal laws require that the posters be displayed in the workplace, they may be obtained free of charge by contacting the West Virginia Division of Labor. The poster company charged $59.50 for a set of posters and $5.75 for shipping and handling. Some employers believed that the poster company was a governmental entity. The poster company also held itself out as having a physical business location in South Charleston, West Virginia but, in reality, the address was just a post office box. In 2001, Attorney General McGraw investigated the same individuals operating under the business name of West Virginia Mandatory Poster Agency. That investigation culminated in a signed agreement. In the agreement, Mandatory Poster Agency, Inc. promised to clarify that the posters may be obtained free of charge from appropriate governmental agencies and that its business was not a government agency. Recently this company sent out solicitations that were similar to those that prompted the 2001 investigation by the Attorney General. The business name of the poster company, however, was changed from the West Virginia Mandatory Poster Agency to the West Virginia Labor Law Poster Service. Nevertheless, the defendant did not clearly and conspicuously disclose in its 2005 solicitations that the posters may be obtained free of charge from the appropriate governmental agency and that, in fact, it was not a government agency. The Attorney Generals Office received complaints from West Virginia citizens that the solicitation appeared to be from a governmental organization. "This business is masquerading as a governmental organization in order to sell posters for outrageous amounts," said Attorney General McGraw. "This deception is particularly problematic because the posters are free from legitimate governmental agencies." The lawsuit, filed in Kanawha County, seeks injunctive relief, restitution for those affected, civil penalties, costs, and attorneys fees. Anyone purchasing a poster from the West Virginia Labor Law Poster Service is encouraged to call Attorney General McGraws consumer protection hotline at 800-368-8808 or 304-558-8986. The state of Minnesota and AT&T have reached an agreement that resolves the consumer protection lawsuit filed against the long distance carrier. The agreement settles the state's claim that AT&T erroneously billed some 25,939 Minnesota citizens in 2004 for services never ordered or provided. Under the terms of the settlement, AT&T has refunded or credited Minnesotans who were wrongly billed and has agreed to provide 300-minute long distance calling cards to Minnesotans adversely affected by its erroneous billing and to make a $200,000 payment to the State. • AT&T agreed to credit and refund all Minnesotans incorrectly assessed calling plan charges and to stop marketing to callers who had been billed in error. Over 25,000 Minnesotans have received credits to date for a total of $308,000. • In addition, the 25,000-plus Minnesotans who received credits are also eligible for a 300-minute calling card. Eligible citizens will receive a letter in the mail detailing how to submit an application for a calling card. The consumer calling card restitution has a retail value of up to $780,000. • AT&T will make a $200,000 payment to the State of Minnesota. The state's lawsuit was the result of an investigation that revealed that over 25,000 Minnesotans were erroneously billed on their local phone bill for long distance calling plan charges by AT&T beginning in January 2004. When the company started assessing a $3.95 monthly charge to its long distance "Basic Rate Plan" customers, AT&T billed not only customers on its "Basic Rate Plan" for the $3.95 and other associated fees, but also an additional 25,939 Minnesotans who did not order services from AT&T or who had other AT&T calling plans. In addition, when those citizens called AT&T to inquire about the charges, rather than helping consumers, AT&T placed Minnesotans on hold for extensive periods of time, transferred them to customer service representatives who tried to "hard sell" AT&T services, and, in some cases, the company told consumers they would had to sign up for an AT&T calling plan to get their money back or charges credited. A letter is being sent to those Minnesotans who were incorrectly billed by AT&T, directing those citizens how to receive their calling card. Eligible consumers will simply have to check a box on a claim form, fill in the claim number found on the letter, sign and mail the form back to the Minnesota Attorney General's Office by August 15, 2005, or send an email to the Office at phonecard.settlement@state.mn.us. The email must include the customer's name, address, the reason for requesting the calling card, and the claim number on the letter. Mintek is recalling about 116,000 portable DVD player battery packs. The battery can overheat and explode while recharging, posing a burn and fire hazard to consumers. Mintek has received 10 reports of incidents, including nine cases of the battery pack overheating and/or catching fire and one report of the battery pack overheating and bursting. 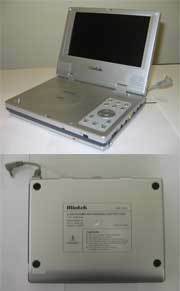 The recall involves battery packs used with the Mintek portable DVD players with a 7 (diagonal) screen and model number DVD-1710. Mintek DVD-1710 is printed on the top and bottom of the unit. The DVD player is silver and grey colored and the battery pack is silver with a nameplate on the bottom that is marked RB-LiP01 or RB-LiP02. The players were sold at electronic and department stores nationwide, including Best Buy, from September 2002 through January 2005 for between $200 and $300. Consumers should stop using and stop recharging the battery pack immediately and contact Mintek Digital for a free replacement battery. Consumers can continue to use the DVD player, with the AC power adapter and not the battery pack, until they receive a replacement battery pack. A Newport News, Va., firm has been ordered to pay $196,000 for violating the federal Do Not Call law. Virginia Attorney General Judith Jagdmann said it was the first time Virginia has prosecuted a company under the federal statute. In the lawsuit, former Attorney General Jerry Kilgore, who has since quit to run for governor, charged Real Time International, Inc., with breaking both state and federal telemarketing laws by calling Virginians whose numbers were on the National Do Not Call Registry. The Commonwealth obtained a judgment in federal court that enjoined future violations by the firm and awarded damages for consumers. "This Office cracked down on a top Virginia target under the Do Not Call law,: said Attorney General Jagdmann. "We have brought its illegal activities to a halt and sent a serious message to telemarketers who flout the law." The federal Do Not Call law, which went into effect on October 1, 2003, prohibits telemarketers from making telephone solicitation calls to residents who register their numbers on a National Do Not Call Registry maintained by the Federal Trade Commission. Residents may also register cellular phones on the list. Until recently, Real Time marketed vacation packages to residents of central and southeastern Virginia. Between October 2003 and October 2004, sixty-six Virginians reported Do Not Call violations by the firm, including twenty-two repeat violations. Twenty-seven residents reported that Real Times callers failed to identify themselves, and sixteen reported that the callers made calls after earlier requests not to do so. Under the lawsuit, the Court awarded injunctive relief to prevent future violations of federal and state telemarketing laws, as well as over $196,000 in monetary damages for willful violations of the law. Virginians can register their home and cell phone numbers on the National Do Not Call Registry and can file Do Not Call complaints online at www.donotcall.gov or by calling 1-888-382-1222 (TTY 1-866-290-4236) from the number they want to register. Telemarketers have thirty-one days to comply after a resident has registered. Virginia state law prohibits telemarketers from calling Virginia residents who have registered their telephone numbers on the registry and gives Virginia residents a private right of action if they are on the list and receive such calls. While the U.S. Treasury has taken steps to make it harder to counterfeit American currency, it's still apparently easy to make up fake money orders. Arkansas Attorney General Mike Beebe reports his office has noted reports of a surge in schemes involving sophisticated counterfeiting of money orders. As happens more and more these days, the fleecing of victims often begins in an e-mail in-box. Several Russellville, Arkansas, residents and banks have recently found that what they thought were authentic Unites States postal money orders were, in fact, counterfeit. Russellville police have recovered counterfeit money orders totaling $20,000 -- money that, for the most part, had been sent overseas as part of the scam. According to the F.B.I. and postal inspectors, international forgers - mostly in Nigeria, but also in other parts of West Africa and Eastern Europe - appear to have turned new attention to money orders. In many cases, unwitting victims, often contacted by an e-mail message or in an online chat room, are tricked into accepting the bogus money orders as payment for items they are selling, or into cashing the orders in return for a fee. It is the latest twist in a long series of Internet schemes that use bogus financial instruments to bilk unsuspecting victims out of merchandise and cash. "Technological advances in printing have led to convincing forgeries of legitimate money orders," Beebe stated, adding that ordinary consumers can easily be fooled. Whether using e-mail, online auctions, or the telephone, the scammer expresses an interest in purchasing merchandise and then offers to send a money order through the mail. In a typical swindle, a seller is sent a counterfeit postal money order in excess of the cost of the item being ordered. The seller is then asked to keep the cost of the purchase and ship back the balance in cash, along with the merchandise. When the victim cashes or deposits the postal money order, he learns the truth: the money order is a fake and he has been scammed. If the money has been deposited, the victim's account is debited for the full amount. At the very least, the victim loses the merchandise already shipped. Beebe says U. S. Postal money orders have many security features to help verify their legitimacy. To check that a money order is authentic, hold it up to the light and look for Ben Franklin images repeated on the left side (top to bottom) and a dark security line running (top to bottom) to the right of the Franklin watermarks, with the tiny letters "USPS" facing backward and forward. If either of these security features is not present, the postal money order is not legitimate. Also, the consumer should know that denominations appear in two locations. U.S. Postal money orders are printed on crisp, textured, paper stock and carry a maximum value of $1,000. The maximum value for international postal money orders is $700. Beebe warned consumers to be especially careful when doing business with unknown individuals and to check with his office or the Postal Service when in doubt. Arizona Attorney General Terry Goddard has filed suit against Virtual Realty Company, charging it misled homeowners into signing over their homes to avoid foreclosure. Company sales representatives led homeowners to believe that they could help save their homes, but in fact the transactions were structured so that homeowners would transfer title or sell the home to a business associate of Virtual Realty, the suit charges. "This case represents the worst in our community," Goddard said. "This company's end game was to get the house. They took advantage of homeowners desperate to save their homes from foreclosure, and deceived them into turning over their homes. In order for homeowners to keep their homes, they had to pay an outrageous sum, and many lost their homes because of VRF's deceptive sales tactics." According to court documents filed in Maricopa County Superior Court, beginning in 2003 Virtual Realty Funding Company began advertising through newspaper classified ads, the Internet and direct mail that the company could assist homeowners who were behind in their mortgage payments from losing their homes. Court documents allege that VRF targeted Spanish-speaking communities, and applied high-pressure tactics to convince homeowners to sign densely worded legal documents the homeowners often did not understand. In some cases the VRF representative refused to allow the homeowner to read the documents before signing, making the homeowner dependant on the VRF representative's explanation. The VRF representatives did not tell homeowners they were deeding their homes to the company, and if the homeowner failed to meet any requirement of the agreement, the home could be sold. The homeowners believed the company would help keep their homes and their possessions. The Sale/Repurchase Agreement required the homeowner to rent his/her home back from VRF for a monthly rental equal to the monthly mortgage payment plus an additional amount. In the case of one homeowner, the monthly mortgage payment was $613 and the additional amount was $157, making a monthly rental payment of $770. In addition to the rental payment, the homeowners were also required to make a deposit payment. In return for "helping" the homeowners keep their homes, VRF agreed to transfer title back to the homeowner through a warranty deed if the homeowner met specific conditions. These included the payment of all rent on time and, prior to a specified date, payment to VRF for bringing the mortgage current, unspecified escrow fees and a "funding fee," which was at times as high as $4,000. • Prohibit VRF and its owners from violating the Arizona Consumer Fraud Act, the Arizona Debt Management Companies Act and the Arizona Mortgage Brokers and Mortgage Bankers Act. • Require the defendants to return to all the victims any money or property acquired through deceptive practices. • Impose a penalty of up to $10,000 for each violation of the Arizona Consumer Fraud Act. • Require the defendants to reimburse the Attorney General and the Arizona Superintendent of Banks for costs of the investigation and reasonable attorneys' fees. The suit names Virtual Realty Company, Virtual Realty Funding Company, and their owner Kenneth D. Perkins. The company's Tucson agent, James Busche, was also named in the lawsuit. Struggling legacy airlines like United and US Airways have successfully wrung contract concessions from their employee unions this year. Northwest Airlines is next, and appears to be taking no chances. It's advertising for replacement flight attendants, just in case the contract talks stall. In a posting on Monster.com, Northwest is advertising for candidates to enroll in a paid training program for flight attendant certification. Candidates are urged to apply by June 12. "Individuals who successfully complete Flight Attendant training may be offered employment in the event of a labor dispute or strike," the posting says. The recruitment drive follows last month's move by Northwest to recall all remaining furloughed flight attendants by the end of July. The Professional Flight Attendants Association says it was notified of the company's plan in late May, and said it expects "a contentious summer of labor negotiations." The union says the company has caused attrition in the flight attendant ranks by raising fear that the company will attempt to freeze current pension benefits. At the time, union president Guy Meek charged the company's "propagandizing efforts" were needlessly scaring flight attendants into early retirement. Union officials say the latest Northwest recruitment effort appears to be another campaign of intimidation, just as the two sides are preparing to sit down at the negotiating table. The airline is beginning labor talks with three of its union, seeking over $1 billion a year in labor cost reductions. Northwest, meanwhile, says the unions are the ones engaging in sabre-rattling. "Northwest is aware of significant strike planning activity underway at several of its unions," the airline said. "If one of its unions chooses to strike the carrier or engage in job actions with the intent of causing disruption at some point in the future, Northwest must be prepared to protect its operations," the statement said. The nation's largest savings and loan, Washington Mutual, is buying credit-card issuer Providian Financial for about $6.45 billion. The deal gives WaMu a credit card business, which it now lacks, and gives it access to Providian's 9.4 million customers. Providian, which targets lower-income consumers and those with subpar credit ratings, is the frequent target of consumer complaints alleging advance fees, late posting of payments, unauthorized transfers and other unseemly pratices. In 2000, Providian agreed to reimburse its customers about $300 million in a settlement with the U.S. Office of the Comptroller of the Currency (OCC) and the San Francisco District Attorney's Office. Later that year, it agreed to pay $105 million to settle a sereies of class-action consumer lawsuits. What about Washington Mutual? Check out its Web site and you'll find endless testimonials to its "civic responsibility" and "community involvement," their legions of employees ("WaMulians") who love their work, and perform it to the highest standards of customer satisfaction. With assets totaling $319 billion and 2,400 offices providing a wide range of products across America, the Seattle-based firm portrays itself as the pinnacle of banking success stories. But the complaints of ConsumerAffairs.com's readers tell a very different story. Washington Mutual customers complain of "bait and switch" lending, failures to process mortgages or close sales, and substandard customer service. "These giant companies are eating up the American Dream and owning it while kicking people out on the streets!" exclaimed one exasperated customer. Owning one's own home has never been easier or more advantageous, thanks to incredibly low interest rates. However, as many dismayed customers found when dealing with Washington Mutual, even the most attractive offers can turn to ruin if the company fails to fulfill its end of the bargain. Daryl M., of Mineral Wells, Texas, purchased his mortgage through Fleet before the company was bought by Washington Mutual. He was shocked to find that Washington Mutual had overpaid his property taxes for 2002. Rather than notify him of the error, it increased his monthly payments from $850 to $1450 a month. Even after returning his $2,200 tax refund to WaMu and asking that it be placed in escrow, the company continued to charge him late fees and turned a deaf ear to his concerns. "[R]ight now I am facing bankruptcy because I have other debts that I can no longer pay because of their screw-up. To this day they will not admit their mistake or offer an apology." Celeste H., of Lithonia, GA, was another former Fleet customer who found herself at the mercy of WaMu's "shell game" financing. WaMu claimed she was putting too much into escrow, and refunded her money, then proceeded to raise her monthly payments to $1,000. "Because I knew I was not going to be able to afford that amount every month, I did my own investigation; I saw they overpaid my property taxes. I spoke with my county and they informed me they had sent them a refund for the overpayment a month ago. I inquired about this to WAMU and they claimed they did not receive a refund. I had to call and get a check number and provide it to them." Celeste has since made her full payment and wants to find another loan service to refinance with, but cannot because she fell behind on other payments while straightening out the WaMu mess. A frequent consumer complaint centers on WaMu's inability to process documents or provide information in a timely fashion for mortgages and loans. Roger S. of Fort Washington, MD, a disabled Air Force veteran, pleaded with WaMu to amortize his loan in order to reduce the monthly payment and save money for medical bills. "Now as of January 21, 2005 I have been trying to pay in-full my mortgage to Washington Mutual Home Loan [They have] been receiving my payments for over 23 months. After several phone calls and no consistent Washington Mutual Home Loan personnel or managers to speak with, the Washington Mutual Home loan phone representative could not validate my payment." When Roger tried to make his payments in full and receive the lien, Washington Mutual continually returned his money and could not verify if the checks had been cashed or not. "I submitted my payoff letter and payment for the 3rd time. After being promised my January 07, 2005 payoff date and amount would be honored, it has now been reversed and now I have to pay an additional $5K." This is but one of a torrent of complaints regarding Washington Mutual's apparent inability to process even the most routine mortgage paperwork. Nor are WaMu's banking services free of risk. Customers report tales of checks not being cleared, refusing to honor payments, and constant failure to process paperwork for any sort of transaction. Melanie B., of Fort Wayne, Indiana, was unable to receive her new checks from her Washington Mutual Account when she moved from California, so she asked the bank to put stops on the checks until she received them. Washington Mutual instead placed stops on checks she had previously written to pay her bills, causing them to be returned and billing her for surcharges and late fees. Renae of Pompano Beach, Florida, started noticing constant fees and charges on her statement for "anything and everything", despite making regular deposits to the account. "At one point, we had been charged almost $400.00 in over draft fees, when there was money in the checking account and we also had overdraft protection for any needed funds to be withdrawn from our savings." Jennifer H. of Winnetka, Calif., opened her bank statement from Washington Mutual in September of 2004, only to find that a check she had written had returned and a $22 overdraft fee assigned to it, despite her having ample funds in her account to pay for the transaction. She called Washington Mutual's customer service, who promised they would look into the matter within 5 business days. "My paycheck was direct deposit on September 17. I checked my account on September 18, and there were 3 more charges on there. I called the 800# again and was told a total of 4 checks were returned and two transactions were put through for a total of 6 $22.00 charges." After repeated attempts to get an explanation, Jennifer ended up owing $132 in overdraft fees, for no reason and with no attempt by WaMu to correct the problem or pay her money back. A common thread running through most WaMu complaints is the inability to contact anyone who can solve a customer's problem, or to verify that documents have been received or sent. In June of 2004, James V. of Richmond, TX found himself in foreclosure from Washington Mutual, despite making a substantial payment to his account, simply because they did not process the check. Leslie of Boca Raton, Florida, deposited several checks into her new WaMu bank account, only to find the bank branch manager was choosing to hold her paychecks from clearance for "9 to 11 daysthey are making my account seem as if it have a negative balance, when it does not." Customers like Jack A., of Spring Hill, Florida, often encounter Washington Mutual's unwillingness to modify any of their payment plans, until they are more than 30 days late -- thus putting them into collections, adding late fees, etc. "I will fall behind on my mortgage payments and have this on my credit rating as well as all extra fees to get my loan caught up. This could have been avoided if the greed of this company was not so great." A similar circumstance befell Barry K. of Saline, Michigan. Himself a professional realtor, Barry has repeatedly lost business when dealing with WaMu due to their requested payoff dates of "7 to 10 business daysmost other banks [take] 1 hour. In the latest fiasco, we have waited 3 weeks for a mortgage payoffstill no luck." It is no exaggeration to say that this is but a small sampling of the complaints received about Washington Mutual. Their consistent record of abusive business practices, financial mismanagement, and poor customer service has literally left many consumers quaking in fear at the prospect of dealing with them. In the words of one distressed customer, "Economically, they are burying me with late fees and related expenses, not to mention I cannot get any products or services on credit because Washington Mutual has ruined my credit rating. I have been through three years of hell trying to communicate with these people. I go to bed worrying if they will attempt foreclosure on me again." British medical researchers say their studies suggest that children who live in close proximity to high-voltage power cables at birth are much more likely to develop leukemia. The Oxford University scientists say they found that children who lived within approximately 200 feet of the power lines had a 70 percent higher chance of developing the disease than children who lived more than 600 feet away. The researchers were quick to say that the results of their study could merely be coincidence, or that the cancer incidence among children might be related to other factors. But their study found that when they measured the cancer rate among children who lived more than 200 feet from power cables but less than 600 feet, there was still an increased risk, but not as high as for those living inside the 200 foot line. The research, published in the British Medical Journal, involved 29,000 children suffering from cancer. The Oxford research team said it plans to study the issue further. There have long been concerns about the possible connection between exposure to high voltage electricity and the risk of cancer. John E. Moulder, Professor of Radiation Oncology at the Medical College of Wisconsin, says there have been several studies of people working in "electrical" occupations. "Some of these studies appear to show a weak association between exposure to power-frequency magnetic fields and the incidence of some cancers. However, laboratory studies have shown little evidence of a link between power-frequency fields and cancer," he wrote in a posting on his Web site. The Web site "QuackWatch" also throws cold water on the notion of a power line-cancer link. "The notion that electric power lines can cause cancer arose in 1979 with a single flawed epidemiological study that created a stir. Subsequent epidemiologic and animal studies have failed to find a consistent and significant effect. No plausible mechanism linking power lines and cancer has been found. In recent years, the verdict from large-scale scientific studies has been conclusively negative, and scientific and medical societies have issued official statements that power lines are not a significant health risk. In short, there is nothing to worry about," writes John W. Farley, Professor of Physics at the University of Nevada, Las Vegas. Leukemia is the most common cancer of childhood. The body produces lymphocytes to protect the body from infection; in leukemia these cells do not mature properly and become too numerous in the blood and bone marrow. Leukemia researchers say it's not clear what causes the disease. Two studies conducted by the office of Attorney General Mike Cox reveal almost 10 percent of the employees caring for the state's vulnerable adults have criminal backgrounds that include homicide, criminal sexual conduct, weapon charges, and drug offenses. The findings come three years after Michigan's first law requiring criminal background checks of prospective residential care facility employees went into effect. AARP of Michigan's Associate State Director of Government Affairs Bill Knox joined Cox in unveiling a new initiative to address the problems raised in the Attorney General's report. "Many of us have had to face the difficult decision of whether or not to place a loved one in a nursing home," said Cox. "In three years, as the first group of 78 million baby boomers begins to retire, the safety of Michigan's nursing homes should be on all of our minds. When we place our loved ones in these facilities, we expect that our family members will receive the highest standard of care." "A system that fails to meet those expectations by allowing hundreds of criminals daily contact with residents must be changed and I am committed to changing it," he said. "AARP has 1.5 million members in Michigan, many of whom are among the state's vulnerable adults living in residential facilities," said Knox. "The Attorney General's report exposes major flaws in Michigan's current laws and we agree they need to be strengthened to provide our members with the protection they deserve." Cox commissioned the studies to evaluate the effectiveness of Michigan's statutes in response to a disturbing series of cases uncovered by his Health Care Fraud Division. The division, which investigates and prosecutes Medicaid provider fraud and residential care facility abuse and neglect, uncovered that 43% of individuals and 25% of employees charged for crimes against residents in the past three years had past criminal convictions. The results of the two studies completed in 2005 were equally disturbing. The first reviewed the criminal backgrounds of a statewide sample of Michigan's 40,000 Certified Nurse's Aides (CNAs), the single-largest group of certified workers providing direct care to residents. Of the more than 5,500 CNAs studied, 9% had a total of 836 outstanding criminal warrants and 3%, or 170, had past criminal convictions. The second study checked the backgrounds of entire employee populations -- from CNAs to administrators -- at four nursing homes in different regions across Michigan. A total of 618 employees were checked and 58, or more than 9%, had 101 outstanding warrants; 68, or 11%, of the staff had past criminal convictions. In both studies, the criminal histories included homicides, armed robberies, criminal sexual conduct, weapons violations, drug charges, and retail fraud. "The owners, operators, and employees of Michigan's almost 5,000 residential care facilities are the people we entrust to care for Michigan's most vulnerable citizens," said Cox. "When one out of ten of these employees have serious criminal histories, it is clear that we need to do more to protect Michigan seniors." Cox has notified each of the State's approximately 5,000 residential care facilities of the report's findings and submitted a comprehensive proposal to the Legislature that would enhance Michigan's criminal background statutes. In addition, the Health Care Fraud Division has requested information from facilities regarding employees with criminal histories. "It is only through our combined efforts that we can reform the system and effectively achieve the level of protection Michigan's most vulnerable citizens deserve and that we all expect," said Cox. Thinking of Buying a Hybrid? Do the Math! The very best and brightest brains in the automobile business have clearly focused on the hybrid as a big part of their companies' futures. Everyone from Toyota to Porsche either is producing hybrids, or says it soon will be. Consumers, who only a few months ago just couldn't get enough of the hulking, gas-guzzling SUVs that have stolen America's heart, are now turning in droves to diminutive, energy-sipping hybrids, waiting months and paying premiums of a thousand dollars or more, all in a sudden quest to save fuel and money. Not long ago, someone paid $500 on eBay to be first in line for a new hybrid. All this sudden fuel-saving fervor is admirable. But the question many consumers may not ask is whether hybrid cars and SUVs really will save them money. There's no question they achieve superior gas mileage but they don't cost less to operate, at least not yet. ConsumerAffairs.com compared three hybrid vehicles with three top-of-the-line vehicles in the same class by the same automaker. We calculated gasoline costs at $3 a gallon over 120,000 miles and 80,000 miles to arrive at the likely operating costs. The results would seem to demonstrate that people are buying hybrids for reasons other than saving money. Toyota Prius sales have tripled as gasoline prices shot up this year. Toyota sold 22,880 Prius cars in the first three months of the year, more than double the number it sold in the first three months of 2004. But what if, instead of buying a Prius you were bold enough to buy a top-of-the-line Toyota Corolla XRS, you would be able to drive the Corolla 41,474 miles in the city or 54,604 miles on the highway paying $3.00 a gallon for gasoline before you had spent as much money as you would have to fork over for a 2005 Prius. That price is not even for the top-of-the-line Prius. The Corolla sells for a Blue Book reduced price of $17,083. The car, according to the EPA, gets 26 miles to a gallon in the city and 34 on the highway. With the Prius we find a new car Blue Book price of $21,900 for the base model. The EPA gas mileage estimate for the vehicle is 60 mpg in the city and 51 on the highway. But wait, there's more. An additional $800 buyer incentive is tacked onto the Corolla. Only "market adjustments" (read dealer mark-ups) are added to the Prius. So let's look at the cost of owning a hybrid from another perspective. Let's drive a Prius for 120,000 miles. Once again we will pay an average of $3 a gallon for gasoline. Half of the miles will be driven in the city, and half on the highway. No other maintenance costs will be considered, despite the possibility that the hybrid costs might be higher. The Prius produces 60 miles to a gallon in the city and 51 on the highway according to the EPA tests. The means we consume 2,178 gallons of gasoline or $6,528. Over the same distance, the Corolla consumes 4,071 gallons of gasoline costing $12,213. So we would spend $5,685 more over 120,000 miles driving the Corolla than driving the Prius. But we paid $5,617 more for the Prius after the Toyota incentive for the Corolla. So the additional cost of driving a Corolla instead of a Prius for 120,000 miles is $68 and you don't have to stand in line to buy one. Cutting the driving distance 80,000 miles -- 40,000 in the city and 40,000 on the highway -- increases the Corolla advantage to just more than $1,000. Honda Motor Co., with sales of just over 100,000 hybrid vehicles worldwide since 1999, might be just a little smarter than Toyota when it comes to marketing gasoline-electric hybrids. Honda's new Accord hybrid is priced so high that most people won't be able to afford it. So Honda avoids the Prius problem of too many customers and too few cars. The Honda Accord Hybrid Sedan sells for $31,575. The price includes roughly a $1,000 markup. The EPA mileage estimate for the Honda is 30 MPG in the city and 37 on the highway. The top of the line Honda Accord EX sells for $25,176 which includes roughly $2,000 in price reductions. The EX gets an EPA estimated 21 mpg in the city and 30 on the highway. The top of the line conventional Accord goes 63,990 miles on the highway or 44,793 miles in the city after pouring the price differential into the gas tank at $3 a gallon. Over 120,000 miles the hybrid Honda uses $3,707 less gasoline. However, because of the increased purchase price, the hybrid is $2,692 more to operate. Over 80,000 miles the hybrid burns $2,470 less gasoline but is $3,929 more expensive to operate, again because of the high purchase price. The Ford Escape follows the same pattern as the Toyota and Honda, but the operating cost is much higher for the hybrid when compared to a top-of-the-line Escape XLTS. The Escape Hybrid costs $29,140 and gets 33 mpg in the city and 29 on the highway. The top of the line Ford Escape XLT Sport goes for $24,510 and an EPA estimated 18 mpg in the city and 22 on the highway. But wait there's more here. The XLTS carries an additional $3,500 in incentives that could add 21,000 more miles in the city or 25,666 on the highway. Driving the hybrid 120,000 miles will cost 11,658 at $3 a gallon. The XLTS burns $18,181 or $6523 more. The conventional Escape is $1,893 more to operate considering the price differential. But when the $3,500 in price incentives is figured into the comparison, the XLTS costs $1,607 less to drive over 120,000 miles than the hybrid. Over an 80,000 mile distance the XLTS is $283 less to operate before incentives and $3,783 less to operate after incentives. There is plenty of guesswork in this comparison. No one knows where gas prices will be over a 120,000-mile period. The repair costs for hybrids are still uncertain. Will they cost more to maintain? Or less? While there are no automotive horror stories about hybrids to date neither is there any record on which to estimate repair costs. So does this answer the question of whether your next car or SUV should be a hybrid? It depends. If you base your buying decisions strictly on economics, the likely answer is that a modest, gas-powered car with a stick shift and with minimal use of air conditioning is probably going to be considerably cheaper to buy and operate than a hybrid. If you are basing your decision on what's best for the environment, there's more than gasoline consumption to factor into the equation. A big part of what's wrong with our environmental situation, not to mention our health, is the excessive amount of time we spend in motorized vehicles. Whether they're powered by gasoline, hydrogen or fermented seaweed, cars need roads to run on. Roadways are very damaging to the environment, not least because of the effect they have on water runoff. A big reason houses tend to slide down hills in Southern California is that there is so much asphalt that storm runoff is funneled into unnatural -- and dangerous -- escape routes. Highways also contribute to global warming, even when there are no cars on them. They displace cooling vegetation and their harsh asphalt surface reflects heat back into the environment, which in itself contributes to smog, regardless of what kind of fuel the vehicles on that highway are using. The real answer to our fuel-cost woes, sedentary lifestyle and dire environmental problems is not a new kind of car. It's a new kind of city -- one that lets us walk, bike or ride transit to where we're going. If the question is, will you save money buying a hybrid, we'd have to say it's not likely. On the other hand if the question is, will buying a hybrid make you feel good, we can't answer that. It might, at least for a little while. If the question is, will your hybrid help save the earth, we'd suggest the answer to that is, the earth will save itself. It was here long before we were and will be here long after we're gone. (It's the date and method of our departure that hangs in the balance). Ah, but here's another factor. In many major metro areas, hybrids are allowed in car-pool (or HOV) lanes. Thus, by buying a hybrid, you may be able to continue driving alone to work, squeezing into the already congested HOV lanes that were created to reduce congestion by reducing the number of cars on the road. In that scenario, hybrids are a threat to the environment because they contribute to increased congestion. We know from reading our mail that this is not a popular thing to say but, as our editor constantly reminds us, we're not running a popularity contest. Illinois Attorney General Lisa Madigan has filed a lawsuit in Cook County Circuit Court alleging that an out-of-state company and its Illinois-based owner cashed in on consumers' desire to work from home by advertising and operating a fraudulent envelope stuffing business. More than 20 consumer complaints about this business have been filed with Madigan's Consumer Protection Division and the Better Business Bureaus in Illinois and Nevada. The complaints allege the work-at-home company lured consumers with promises of large profits. But after sending in cash to receive their supplies and completing the assigned work, the consumers allegedly never received the advertised compensation. Madigan's lawsuit names as defendants Income Solutions, Inc., a Nevada corporation, and its owner, Joseph A. Munizzi, of Lemont. The corporation was involuntarily dissolved in Nevada in 2004 and, after failing to file proper documentation in Illinois, lost its authorization to transact business in this state. The defendants stated in their advertisements that consumers could earn between $442.20 and $2,948 per week by stuffing envelopes. The consumers were required to pay fees ranging from $59 to $149, and they mailed their checks to the company's post office box in Las Vegas, Nevada. Madigan alleges that the mail received at the Las Vegas post office box was forwarded to another post office box in Willowbrook, Illinios. While Income Solutions represented in its advertisements that consumers would earn $7.37 per envelope, they allegedly failed to disclose that consumers would earn this money only if the recipient of the mailing ordered the nutritional product being offered for sale by the defendants. According to consumer complaints, once the checks were sent to Income Solutions, consumers either never received the envelope stuffing materials or were not paid the compensation promised in the advertisements. In some instances, consumers who ordered envelope stuffing materials were sent information on a different program, which costs an additional $299, about making money from home by processing tax liens. Madigan's lawsuit charges the defendants with violations of the Illinois Consumer Fraud and Deceptive Business Practices Act and the Uniform Deceptive Trade Practices Act. Madigan's lawsuit asks the court to prohibit the defendants from engaging in the business of advertising, offering for sale, or selling envelope stuffing work-at-home schemes and from further violating Illinois' consumer protection laws. The lawsuit also seeks a civil penalty of $50,000 and additional penalties of $50,000 per violation found to be committed with the intent to defraud. Finally, Madigan's lawsuit asks the court to order the defendants to pay restitution to consumers. Ford, which has had its share of about tire safety problems, is urging consumers to replace their tires after six years. Tires degrade even when they're not in use, the company says, echoing the claims of safety advocates who have been pressing federal regulators to take action on the issue. The tire industry disagrees and says that tires are safe as long as the tread depth is a minimum of 1/16th of an inch, no matter what the age, and as long as there are no visible cuts, signs of uneven wear, bulges or excessive cracking. Other trouble signs are if tires create vibration or excessive noise. SRS Inc., an auto safety research firm, last year petitioned the National Highway Traffic Safety Administration (NHTSA) to require easily readable creation dates on car and truck tires. SRS President Sean Kane said that as of November of 2004, his group has documented 37 fatalities and 35 serious injuries associated with age-related tire tread separations. In many of these cases, the tires were unused spares and showed no signs of degradation. Aged tires are often unsuspectingly put into service after having served as a spare, being stored in garages or warehouses, or simply used on a vehicle that is infrequently driven. In many instances these tires show no visible sign of deterioration, and absent any visible indicators, tires with adequate tread depth are likely to be put into service regardless of age, SRS said in its petition. Kane's petition noted that environmental conditions like exposure to sunlight and coastal climates, as well as poor storage and infrequent use accelerate the aging process. The British Rubber Manufacturers recommends that used tires should not be put into service if they are over six years old and that all tires should be replaced 10 years from their date of their manufacture but the U.S. Rubber Manufacturers Association derides the notion. "Tires are not milk," Rubber Manufacturers spokesman Daniel Zielinski told the Wall Street Journal. But Zielinski's quip notwithstanding, many European car makers as well as Japan's Toyota Motor Corp. have long warned drivers that tires are perishable and many use six years as the cut-off point. DaimlerChrysler's Mercedes division also tells drivers that tires last only six years and Chrysler now includes a similar warning in its owners manuals. General Motors so far is a hold-out. A company spokesman says it hasn't found any research that supports six years as the deadline for replacing tires. Ford's new position reflects its increased emphasis on tire safety following the disastrous series of rollover accidents afflicting its Ford Explorer SUV and other vehicles. Ford blamed the problem on Firestone tires and is still fighting hundreds of wrongful death and personal injury lawsuits arising from the series of deadly accidents that led to a massive recall. The age of a tire already appesrs on the widewall but it's part of a lengthy code that can be hard to decipher. To find the age of your tires, look for the letters DOT on the widewall. That's followed by a 12-character serial number made up of numbers and letters, followed by four digits that identify the week and year the tire was made. For example, 2403 would be the 24th week of 2003.